Gun education is important, especially if you or someone else you know has a family home with guns in it. To address this specific need with a responsible approach, Bristlecone Shooting, Training and Retail Center is offering a Family Firearms Safety Seminar next month on May 6, from 4 p.m. to 7 p.m. The cost is $75 for a family of 6, $25 each additional family member. Children must be six years of age or older to participate. This three-hour session, taught by instructors Dave Marris and Trevor Robinson, is geared for the entire family and provides a thorough overview of the risks involved with children and firearms. Whether your family home already has guns in it, your family is interested in purchasing firearms, or if you are parents who are simply concerned about your children encountering firearms, this seminar will address the most common questions and the best solutions. The seminar will begin in the classroom, followed by two, live fire range sessions — one for the children (6 years and older) alone and one for parents and children combined. All shooting training range sessions will be led by experienced instructors who have worked extensively with shooters of all levels and will take place in a very controlled environment. The range sessions are focused on safety and operations of firearms as well as satiating the natural curiosity that many have about guns, not high-level skill development. We will discuss opportunities for additional training in firearms use and personal defense during the final session of the seminar, which will include ample time for questions and answers. Families that own firearms are encouraged to bring them so we can address specific operations and safety issues. In addition to family members, we recommend this seminar for individuals working in law enforcement, the military, or private security services. All necessary equipment, including safety gear, will be provided during the session. 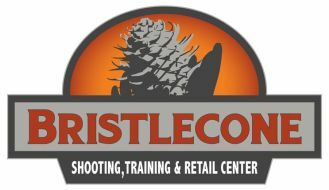 To reserve your spot or to learn more, visit Bristlecone online at https://bristleconeshooting.com/ or call 303-985-0989.